Coconut usage is very popular among varied demographics. The exceptional health benefits along with its utilization in the making of wonderful drink and food recipes, is the main reason why it is popular. Coconut are mostly found in regions with warm temperatures, Coconut and its products are a part of our daily life in the present times. From consuming the fruit in its raw form to converting it into oil and pastes, coconut is widely used in various forms. Also, coconut water is known to have excellent health properties. It is a perfect aid for detoxification and improving immunity and also improving digestion. 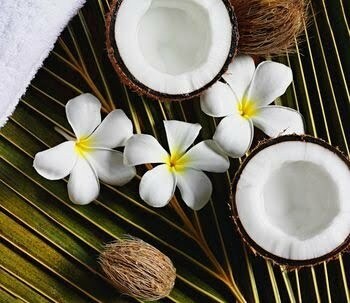 Coconut also helps to improve skin and dental conditions when it is consumed regularly. One other advantage of coconut is that its water can be cropped up as a pleasant add-on which can be relished any time during the day. Availability of Coconut fruit was scarce previously but with the advent of the internet, people from scarce regions and cooler climates can easily get it from online stores. The durability and long shelf life of Coconut ensure the necessary nutrients are never lost. Let’s take a look at this amazing Infographic on Coconut, highlighting its usage and some great recipes. Did you find this infographic informative? Kindly tell us what you think in the comment section below.